Welcome to the Bay Inn & Suites. We are so glad you decided to drop in and visit. It is our hope that we will be able to provide you with useful information about how you can get the most out of your visit to San Diego. Look for regular reviews of the best places to dine and tips on the area’s top attractions. Please allow us to tell you a little bit about our hotel and why you should come visit beautiful San Diego. We are located at 3325 Midway Drive right in the center of San Diego’s best attractions, restaurants and shopping. 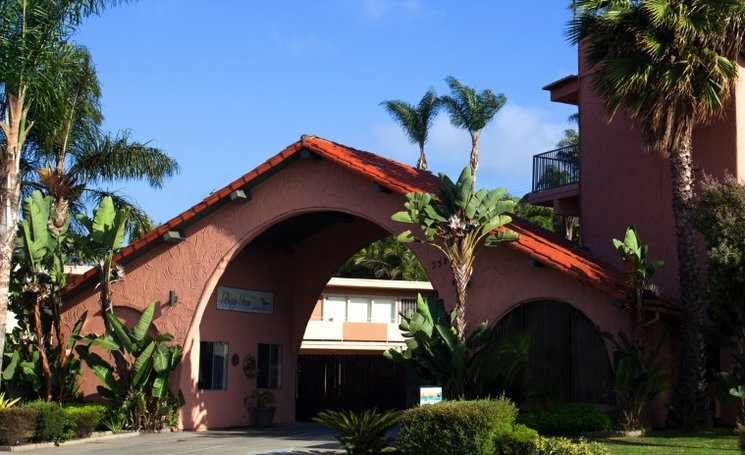 Just one mile away from SeaWorld and within easy walking distance of some great restaurants and shops, you won’t have to venture far from the Bay Inn & Suites to have fun. In 10 minutes or less you can be getting some sun and splashing in the water at the beach, arriving at the US Naval base or taking a tour of the USS Midway Museum. Also within a 5 mile radius of the Bay Inn & Suites is the San Diego Convention Center, PETCO Park and the University of San Diego. Nearby neighborhoods include Old Town, Hillcrest and Mission Beach. It will take you no more than 15 or 20 minutes to get to Balboa Park, the San Diego Zoo or the Gaslamp Quarter. A trip to Del Mar to see the horses run, or a visit to the beautiful communities of La Jolla and Coronado Island, are also less than 10 miles from our property. We may have gotten a little ahead of our selves by going on and on about all of the great places near our centrally located property. It is hard not to talk about this great city, but before you can go out and explore San Diego, you should probably first check-in and put your luggage in your room. 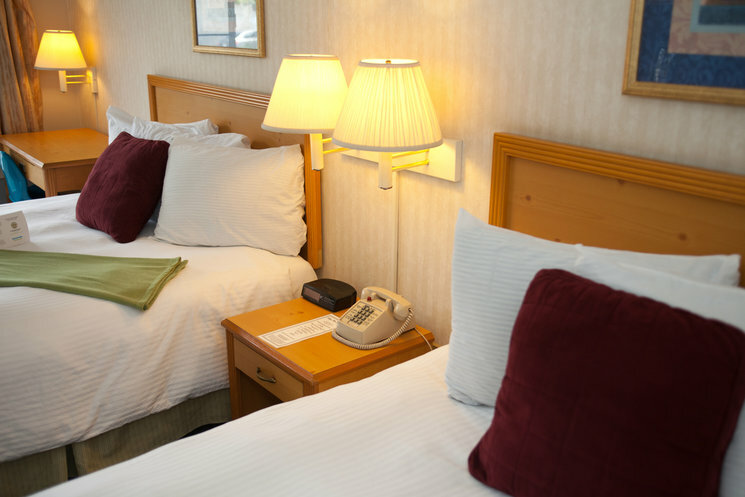 We think you will enjoy the Bay Inn & Suites. We have 46 spacious and comfortable rooms and suites with all of the little extras that will help make your stay a pleasant one. Included in every guest room is a refrigerator, microwave and coffee maker. You will be able to stay connected with our complementary wireless internet access. For your viewing pleasure we offer cable TV with free HBO. All of our guest rooms are non-smoking. When you wake up in the morning, come on down and have some breakfast. Our free continental breakfast is a great way to start your day. A nice outdoor pool is great for swimming laps or just cooling off on a warm day. When your clothes need to be washed, take advantage of our guest laundry. Our staff is very friendly and is there to serve you. We are happy to provide you with information and directions to all of the attractions in the area and will even tell you the best place to go for authentic Mexican food or the best pizza in town. As a moderately priced, family-friendly hotel, the Bay Inn & Suites offers a great location and a great value. Our rates are among the lowest of all comparable hotels in the area and we are proud to offer a 10 percent discount to all military personnel and their families. When you stay with us, we promise to do everything we can to make your stay a pleasant one. This entry was posted in Bay Inn and Suites, Location, San Diego and tagged Coronado California, Coronado Island, Gaslamp Quarter San Diego, La Jolla, PETCO Park, San Diego, SeaWorld, USS Midway Museum. Bookmark the permalink.